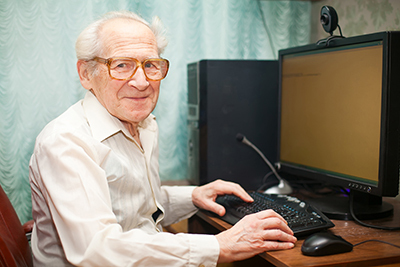 The purpose of this project was to explore what type of computer keyboard is the most comfortable and easiest to use for older adults. Computers are becoming more common for everyday tasks and it is important to make them accessible and useable for everyone. The research team asked participants to complete short typing tasks on four different kinds of keyboards. The keyboards included a standard desktop keyboard, a keyboard designed specifically for older adults, and two different types of keyboards designed for video games. These tasks looked at how fast participants typed and how accurate they typed. Once these tasks were completed, participants were asked questions about which keyboard they liked best and why. The research team did not find any significant differences between the four keyboards for typing speed. Most participants preferred the keyboard designed specifically for older adults or the standard desktop keyboard. Based on the results of the study, standard desktop keyboards or keyboards designed specifically for older adults may be recommended for new computer stations.